Effortlessly stylish, this lightweight white linen shirt by Marina Rinaldi makes a gorgeous addition to your summer wardrobe. We love the contemporary wide cut sleeves. 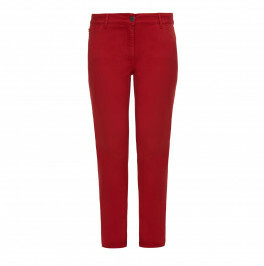 Pair with bold block colour trousers for a cool daytime look. White linen shirt. 100% Linen. Hand Wash or Dry Clean.